The origin of vinyl flooring can be traced back to the 1930s, but it was not until years after the Second World War that it started appearing as a part of the architecture of that time. In particular, vinyl gradually seized the place of linoleum as a more cost-effective, stain-resistant, versatile and water-resistant flooring option. Over the years, vinyl floors have underground numerous technological advancements as a result of which they have become more good-looking and low-budget. Anyone who decides to opt for this flooring option will be able to choose between two types, namely sheet flooring or tile flooring. Sheet flooring involves laying down sheets of vinyl material, each of which happens to be either 6 feet or 12 feet wide. Title flooring involves the use of vinyl tiles, which are either 9-inch x 9-inch or 12-inch x 12-inch. No doubt, installing sheet flooring can prove to be easier and it ultimately proves to be more water-resistant. However, vinyl tile flooring is preferred by many homeowners since it serves as a more inexpensive alternative to ceramic tile flooring. 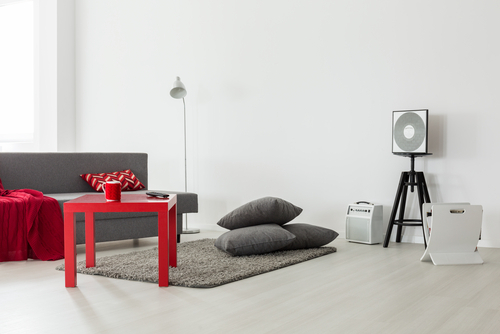 What Are The Benefits Of Having Vinyl Floors? Today, the reason behind the widespread popularity of this versatile flooring option is various desirable characteristics that continue to be added to it. 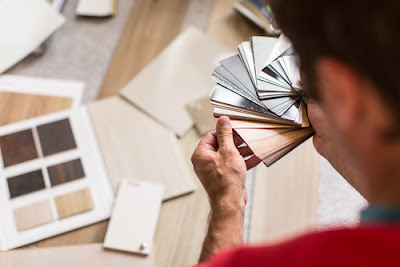 Another thing that makes this flooring option so excellent is the fact that homeowners will find it quite suitable for house, no matter what their budget and/or interior décor. Along with being affordable and cost-effective, this flooring option also tends to be durable, long-lasting and stylish. Vinyl is also capable of resisting dents, scratches and stains to a great extent, as long it is laid down properly over the right subflooring. Unlike other flooring materials, the vinyl surface never gets cold in the winter, and generally, walking over vinyl floors feels quite nice. Some vinyl sheets and tiles even come with a padded layer, which makes them far softer underneath the feet. The general opinion of vinyl is that it is an extremely durable and long-lasting material. It can last anywhere between 10 and 20 years or even more as long as it is correctly installed and maintained. Of course, how well vinyl floors ultimately last over time depends on the quality of the vinyl sheets or tiles that are purchased, and how they were manufactured. Homogenous vinyl tiles, such composite and solid tiles, happen to be the least prone to getting damaged by scratches since the colors permeate all of the layers. The durability of printed vinyl sheets and tiles depends on how long the clear wear layer lasts, since that is what protects the vinyl surface. There are even vinyl sheets are reinforced with fiberglass and they are perhaps the most durable and flexible, while they rarely get the damaged. Perhaps the best thing about vinyl floors is that if individual sheets or tiles do get damaged, it is always possible to replace them quite easily. As mentioned, it is relatively easier to install vinyl sheet and vinyl tile flooring. All that needs to be ensured is that the vinyl material is installed over a completely dry and leveled subfloor. Even homeowners themselves can install vinyl sheets or tiles on their own, but it is best if subfloor is prepared and the vinyl sheets or tiles are installed by a professional. At the lower end, the cost of vinyl sheets or tiles per square foot tends to be as little as 50 cents. However, homeowners can expect to spend as much as 10 dollars per feet too if they wish to use higher end, premium vinyl sheets or tiles. The quality of the sheets or tiles, and the design options that the surface offers determines the difference in price. Much like its installation, taking care of vinyl flooring also tends to be relatively easier. Essentially, homeowners must regularly sweep off any dirt and girt off the vinyl surface in order to keep it maintained. Although vinyl happens to be a stain-resistant material, any stains that do appear can and should be wiped off using damp mop and a cleaner that is suitable for vinyl floors. As mentioned, there tends to be a clear wear layer on printed vinyl sheets and tiles. This layer serves as a surface barrier as a result of which the vinyl floor remains safe from spills and stains. Cleaning and maintaining these vinyl surfaces proves to be even easier. This surface protection is not available with composite and solid vinyl materials, as a result of which they have to be stripped and polished at times. Vinyl floors that are well-installed end up proving to be nearly impermeable to water penetration. 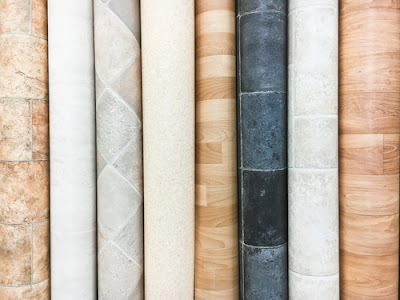 This means that vinyl flooring is an ideal option for bathrooms, kitchens, laundry rooms, and other areas in a house where the moisture level tends to be high and the spillage of water occurs frequently. There are almost uncountable options to choose from when it comes to the colors and patterns that vinyl sheets and tiles are available in. Manufacturers combine composite and solid vinyl in order to create numerous random and unique patterns. The versatility of printed vinyl tends to be greater since the look of hardwood, natural stone, and various other materials can be recreated using it. Vinyl sheets or tiles in different colors and with different patterns can also be mixed and matched to make it seem as if different elements have been combined on the floor. Thus, it should be obvious why vinyl flooring is such a popular choice for homeowners in Singapore. It should be obvious by now that this flooring option can be installed virtually anywhere in a house. This means that the aesthetic of other flooring materials can be achieved in areas where their use would not be recommended, simply by installing the right type of vinyl material.